About one in five of the Philippines' 106 million people live in extreme poverty, getting by on less than $2 per day. Cavesirano, along with men at least twice his age, helps fishermen clean their nets by removing fish stuck in the gear. He keeps the fish as payment, paddles back to land and then sells them to buy food and medicine for his family. "My back usually aches from paddling but I cannot stop. 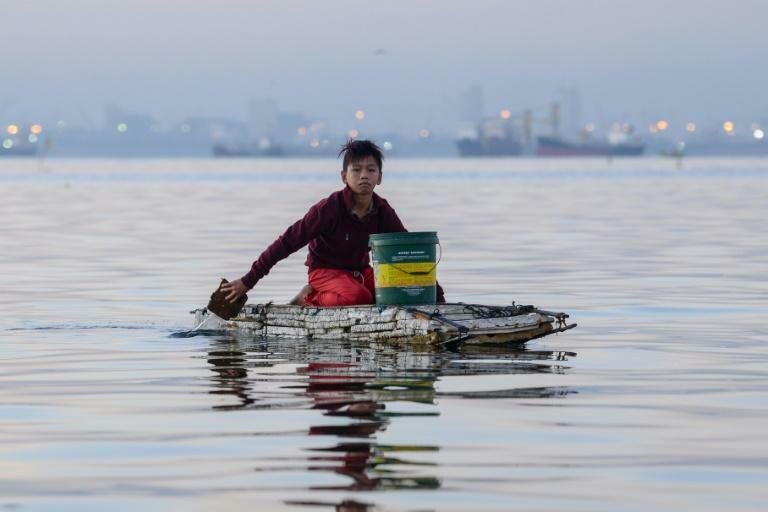 I have to continue because we need to eat," Cavesirano told AFP. 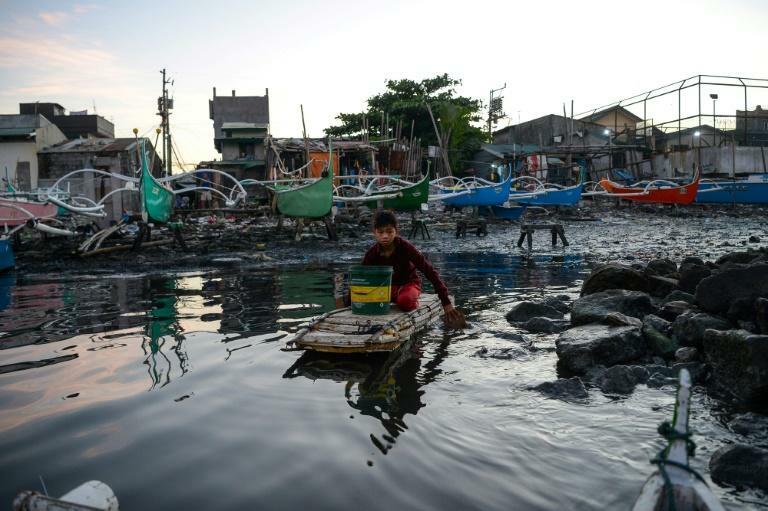 The boy, who attends elementary school during the week, lives with his grandparents in a shelter pieced together from bamboo and plastic sheeting in a squatter community on the shore of Manila Bay. He is estranged from his mother. Cavesirano's grandmother Remedios Santos said she was against her grandson working because of the risks he faces on the water but he was persistent. "I told him it is dangerous. But he said 'Mama, other people won't help us in life. So I will help you'," said the 55-year old Santos, who still works as a scavenger. On a good day, Cavesirano can bring home a kilo of rice, which is enough to feed his family for the day, and 300-400 pesos ($6-$8). The money helps pay for his grandfather's tuberculosis medicine and cover his school allowance for the coming week. 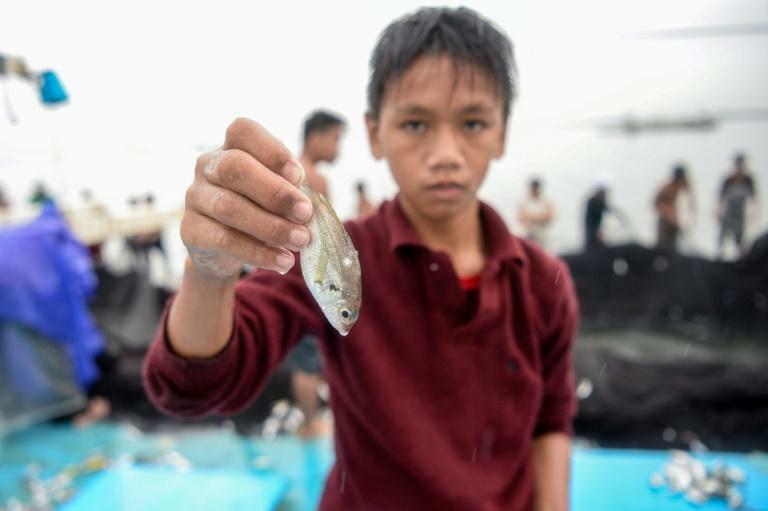 The boy, who started working on the boats at the age of 10 after his brother taught him how to swim, dreams of finishing school and providing a better life for his family. "I want to reciprocate my grandparents' kindness. I want them to have a three-storey house made from concrete," Cavesirano said.